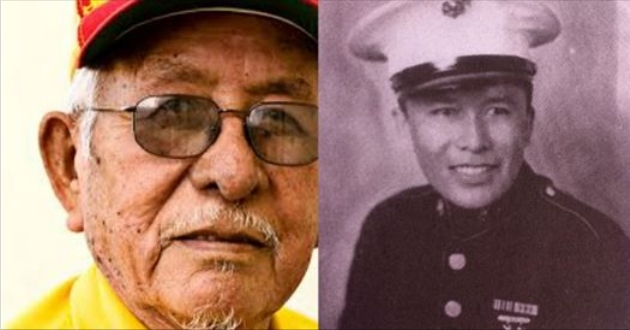 Navajo Code Talker Bill Toledo passed on Thursday morning in Grants at the age of 92. Toledo was born on March 28, 1924 in Torreon, NM on the eastern Navajo reservation. He attended Albuquerque Indian School, but quit to join the military in 1942. He ended up graduating after his enlistment. Toledo served in the Pacific corridor during World War II and spent three years as a Code Talker in the U.S. Marine Corps. Toledo's daughter, Sharon Webb, said her father never disclosed he was a Code Talker in the war until she and her mother, Louise Jose, of Laguna Pueblo, discovered his honorary discharge papers in 1972, which noted he was a Code Talker. When Toledo returned from work that day, Webb says her father was surprised they had found out, but he told them of his missions for the first time. Webb shared several stories her father told her before his death with KOB Thursday. She said one time, he said he was running from a sniper while delivering a message and was later teased by his fellow soldiers that he should have played football because of the way he dodged the bullets. In another instance, he was captured by his fellow Marines, who thought he was a Japanese soldier. But when fellow soldiers asked a commander if he should be shot, the commander told them he was a U.S. Marine. Toledo was assigned a bodyguard from that point on. He was honored with several medals for his service, according to his daughter. After his service, Toledo attended vocational school at Haskell Indian School and left with a vocation in auto mechanics. Webb said her father was active in the Navajo Code Talker Association and that he traveled across the world to talk about the Code Talkers. Toledo had three children, one of whom (Webb) he leaves behind. He is also survived by two grandchildren and three great-grandchildren. Webb said Toledo's grandchildren sang the Marine Corps Hymn for him on his deathbed Wednesday night, just as they had when they were younger. It was their goodbye. Funeral services for Toledo will be held at French Mortuary on Lomas near Eubank. The visitation is Monday and is open to the public. Toledo will be buried at the National Cemetery in Santa Fe on Tuesday. 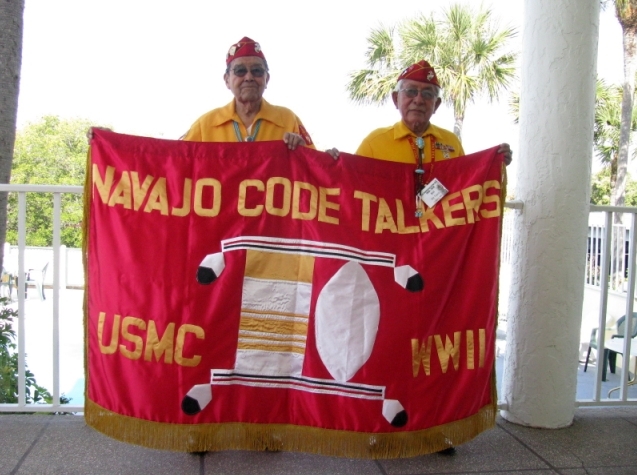 Responses to "Bill Toledo, World War II Navajo Code Talker Hero Passes at Age 92"